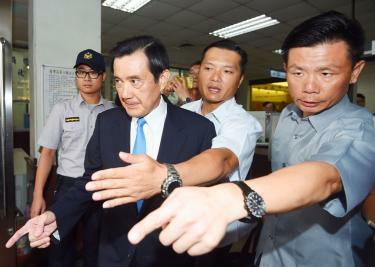 Ma Ying-jeou will learn his fate on Tuesday after being tried for leaking classified information in 2013. If convicted, the former president could spend up to three years in jail, but his Kuomintang party’s political prospects could be much worse. The rapid decline of the Kuomintang’s popularity is directly linked to Ma’s indiscretions and political legacy. Indeed, the charges themselves stem from an accusation that the former leader deliberately leaked conversations with the party’s former legislative leader, Wang Jin-pyng – Mr Ma’s former rival. After eight years in the top job, President Ma was voted out in January 2016 amid growing reliance on China, pro-business trade policies, and retirement fund reform that left core supporters in the military and civil service out in the cold. Mr Ma’s departure was disastrous for the Kuomintang, which lost both its legislative majority and presidency to the pro-independence Democratic Progressive Party. A guilty verdict on Tuesday would reflect poorly both on Ma Ying-jeou and his party, harming the Kuomintang’s chances of reclaiming the leadership anytime soon.